4801 Audits, AS4801 & ISO 18001 Safety Audit Expert In Melbourne. For a workplace to operate at the highest standard of performance and safety occupational health and safety audits must be allowed to take place. Possessing the experience, training, and qualifications to conduct in-depth and industry-standard occupational health and safety audit programs in a variety of working environments the team at Australian Risk Services are who you can trust for timely and accurate audits. Taking into account all areas of your work site our skilled and knowledgeable team can inspect your property and identify emerging risks before they become potentially fatal and expensive problems. Committed to delivering a comprehensive service to our valued clients, the team at Australian Risk Services have the qualifications and expertise to conduct safety audits that conform to the standards described in AS 4801. As AS 4801 safety audit experts we can give Melbourne companies and business owners lasting peace of mind with our accurate audits. Published by Standards Australia, AS 4801 directs companies and organisations to the right course of action that will help them develop correct policies and objectives to address hazards and risks that adhere to OHS regulations. Once we have completed an AS 4801 safety audit and the client has achieved certification they will have a greater chance of gaining tenders, better-qualified workers, and having a safer, risk-free working environment. 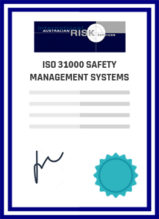 At Australian Risk Services we endeavour to share our extensive experience and training with sites throughout Australia. Thanks to our comprehensive and compliant 4801 audits locals in Melbourne and Australia can ensure that their sites are in the safest condition possible. To take full advantage of our detailed 4801 audit Perth, Sydney, and Brisbane locals and beyond can get in touch with our fully-qualified professionals today on 1300 266 172. Copyright © 2019 Safety Auditing. All Rights Reserved.